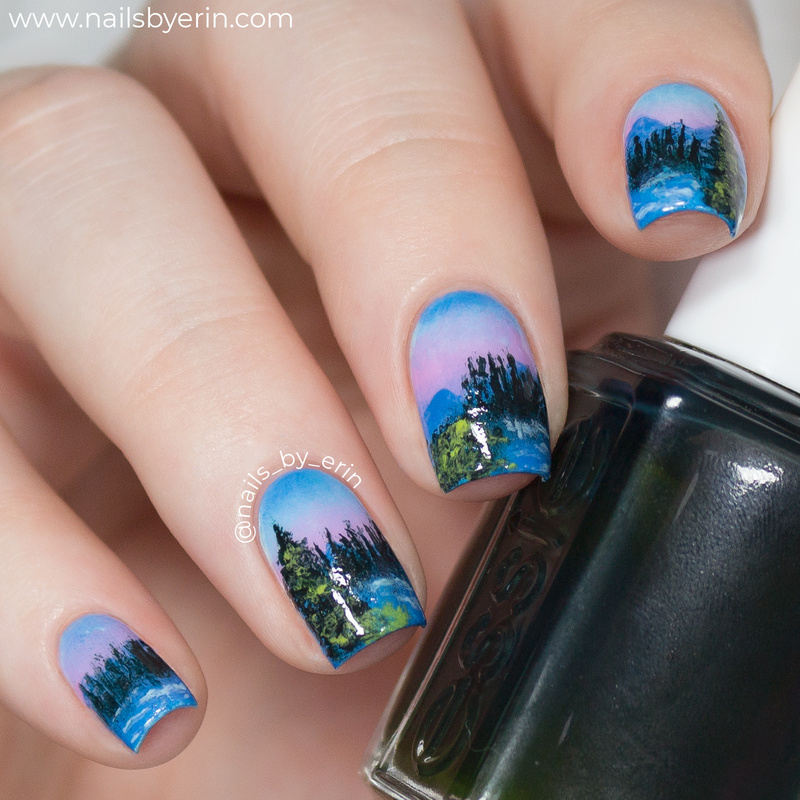 NailsByErin: I Followed a Bob Ross Tutorial on My Nails! 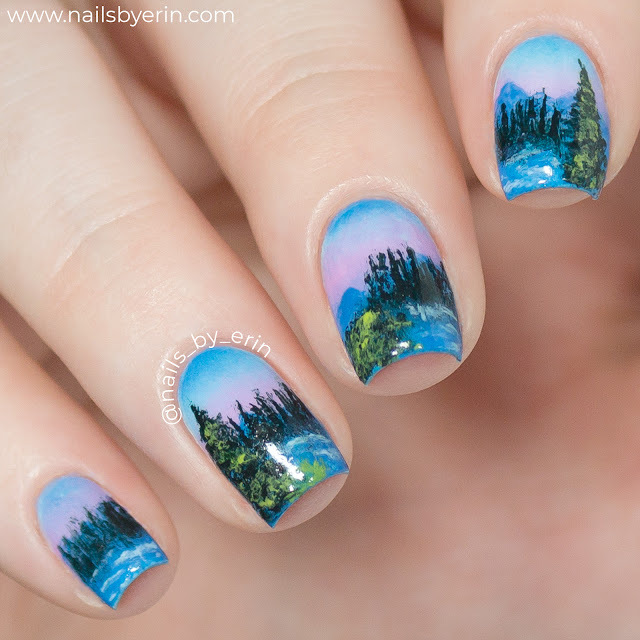 Salon Perfect "Wild Blue Yonder"
Essie "The More the Merrier"
And here's an up-close macro shot of one of the nails, so you can better see the details. I'm actually pretty happy with how this design came out, and this was so much fun to do. I don't do a ton of freehand and detailed nail art anymore, so this was a nice change from my usual geometric and simple patterns. I hope you guys like them too! 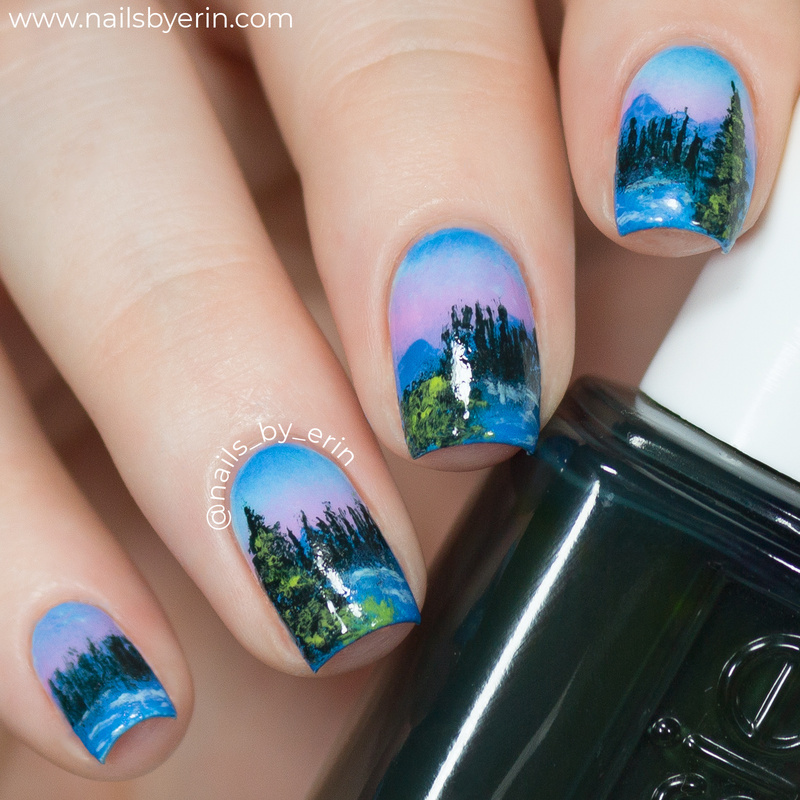 And if there are any other nail artists up for this challenge, I would love to see more Bob Ross nails! There are so many possibilities because there are so many different Bob Ross paintings. Please share them with me if you can.... 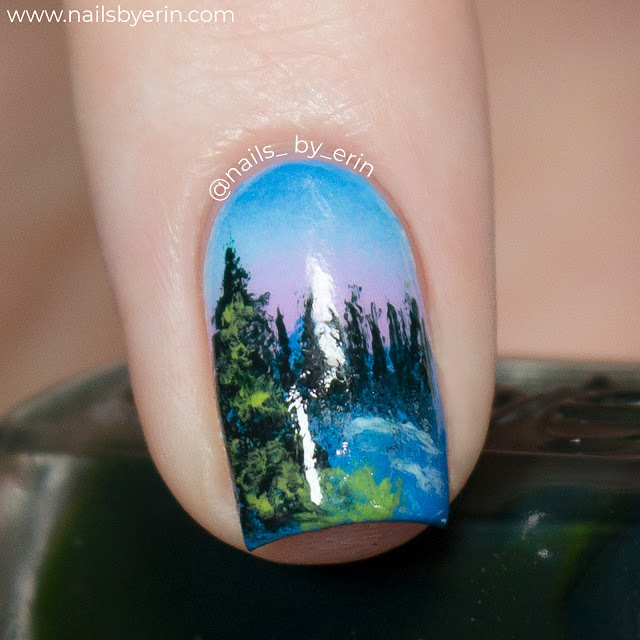 I haven't seen any other nail artists do this yet but I'd love to see more!